I made this for my 2013 13in MacBook Pro. 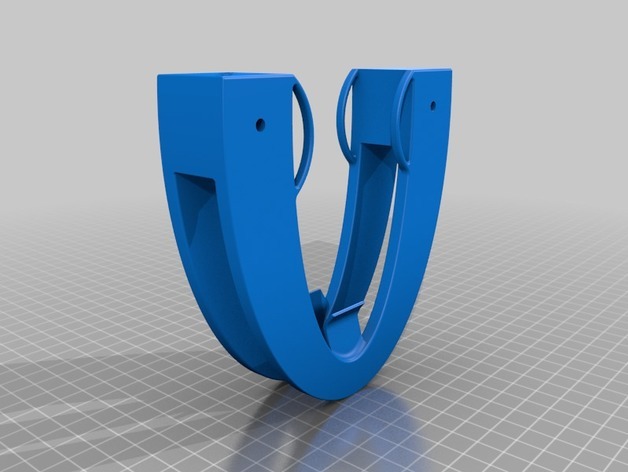 This can be used to mount your laptop to the back of your monitor, or it can be a desk laptop stand to stand it vertical! I ran two screws through this mount and into the back of the top two of my Vesa mount on my monitor. It securely holds my laptop and the loops on the inside keep my cords back there when they are not in use. I use a dock so a power cord and lightning cable are always needed. 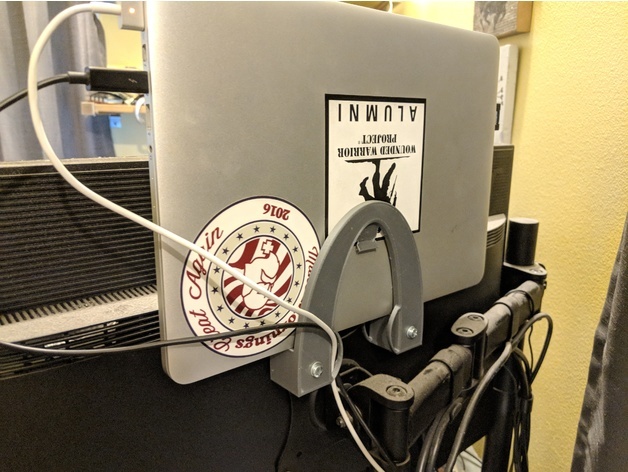 if i have the laptop mounted I also have easy access to the SD and usb ports sticking out above my 27″ monitor. The width between the two brackets is 19mm or somewhere close to that with pressure fingers to keep it a little snug. You should be able to make the middle longer in slic3r to adapt it to your laptop. When buying m4 screws make sure the screw only penetrates 10mm into the monitor. Encourage me to create more problem solving life hacks by tipping! !